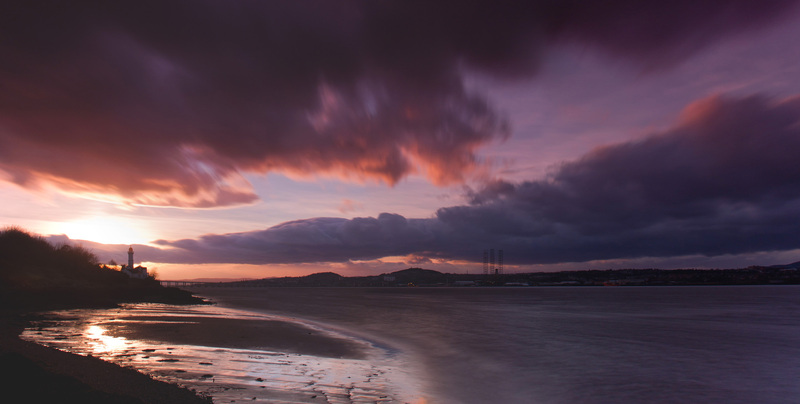 Tonight I took the opportunity to get out with the camera around sunset time in Tayport, Fife. Out on the beach it was very exposed and the wind was freezing. I still managed to get a few shots. This one is a panorama of 5 photos. 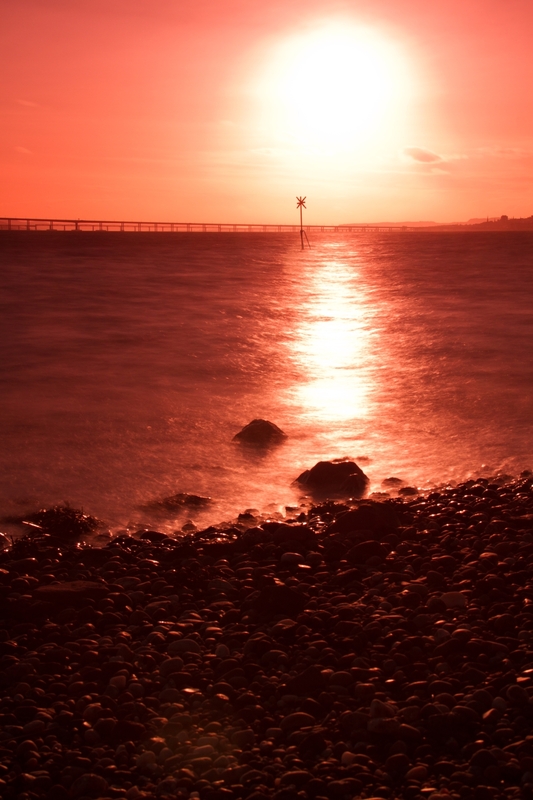 I took this shot last Friday from Broughty Ferry. I knew the grad filter I was using would give a colour cast but I wasn’t quite expecting this when I downloaded the pictures. I haven’t emphasised the colours in the picture, just improved the contrast a little for the rocks.